Kier, the main contractors on site, have just published another newsletter for local residents. It can be downloaded from the bottom of this page. Many thanks to Kier for maintaining such a great dialogue with both the school and local people throughout this build. The permanent site for the school is at the bottom of Baldwins Lane in Croxley Green, opposite the parade of shops just before the viaduct. Its postcode is WD3 3RT. The map below indicates its position. This site was allocated for educational use in November 2014 in the Three Rivers District Council's Site Allocation and Developments Plan. The land was secured for the school from Transport for London in October 2016 and the lease signed earlier this year. During July/August 2017, the Education and Skills Funding Agency and representatives from the school met regularly with two potential contractors to draw up detailed plans for the permanent buildings and playing fields as well as the temporary accommodation which will house the school during 2018-19. The successful contractor, Kier, was announced at the end of September 2017 and a public exhibition of the plans was arranged locally in Baldwins Lane, Croxley Green. Following this consultation, and once plans had been finalised, they were submitted to Three Rivers District Council in mid October 2017. Many thanks to all those who submitted comments in support of the plans. When it went to the final Planning Committee meeting on 25th January 2018, 153 comments in favour had been received and only 18 against and the Committee approved the plans. Building work commenced in April 2018 and is scheduled to be completed in early 2020. Newsletters from Kier, our principal contractor, will be published at the bottom of this page throughout the building work which contain contact details for the Project Manager. At the bottom of this page you can see a bird's eye view of the site together with another computer generated image of the buildings. The displays from the Public Consultation are available to download below and show a number of further images of the site. On Thursday, Mr Thompson attended the 'Topping Out' ceremony at the site accompanied by Terry James (Chair of Governors) and Rosie Faunch (Chair of the Danes Educational Trust Board). Details of the visit can be found in our news post here and a gallery of photographs is available here. Please see our news story here for images of the site taken whilst Mr Thompson was on his first visit inside the new building. At the bottom of the page, you will find the latest newsletter from Kier, our main contractors. A site meeting is scheduled for 29th November, after which Mr Thompson will write to all parents with a further update. This update will be available to download from this page. Mr Thompson has recently written to all current parents with an update about the planned date of moving into the permanent buildings in Baldwins Lane. The whole letter can be downloaded from the bottom of the page. Visits to the site this week have allowed us to see the foundations taking shape. For more details and photographs, please see the news story. Breaking ground ceremony held on site. For further details and photographs, please see news story. We are delighted to announce that, after long years of hard work to get to this point, last week, preparatory work finally began on the permanent site. Kier, our main contractor, have commenced work which will involve fencing the site, tree and scrub removal and creating the permanent access off Baldwins Lane, amongst other activities necessary to prepare the area for building work to commence. Kier have provided a newsletter for local residents which is available to download below. In early June, we anticipate the start of building work and will, of course, update you with news of this when it happens. We are indebted to both Kier and the local councillors in Croxley Green for working so hard to ensure that local residents are informed. Photos of the site can be viewed here. Following the planning committee’s approval of the plans in January, we are delighted to be able to announce that the formal planning notice was received last Friday. We heard this week that building is due to begin in mid-April. Although we are still in discussions with the ESFA and Kier, the main contractors, it is possible that this delay will push the final handover of the site back by a few weeks towards the October Half Term of 2019. The plan for 2018-19 had been to put temporary accommodation on the Baldwins Lane site during for occupation by all 300 students whilst the school’s permanent building was being constructed. This plan would have involved bussing students to St Clement Danes School for one day a week to allow them to access specialist facilities in subjects such as science, technology and PE. Accommodation on site would have been limited, although we would, of course, have made it work for the students. The ESFA have now proposed another option, which is to house the whole school during 2018-19 in the building on Tolpits Lane which The Reach Free School will, by that time, have vacated. This will provide much more extensive facilities (including a classroom for science) which are already set up for a far larger school than us. Although we will still take the students to St Clement Danes to use specialist facilities such as technology and the outdoor spaces for PE, we envisage this being for one day a fortnight only, with half a year group returning at a time. 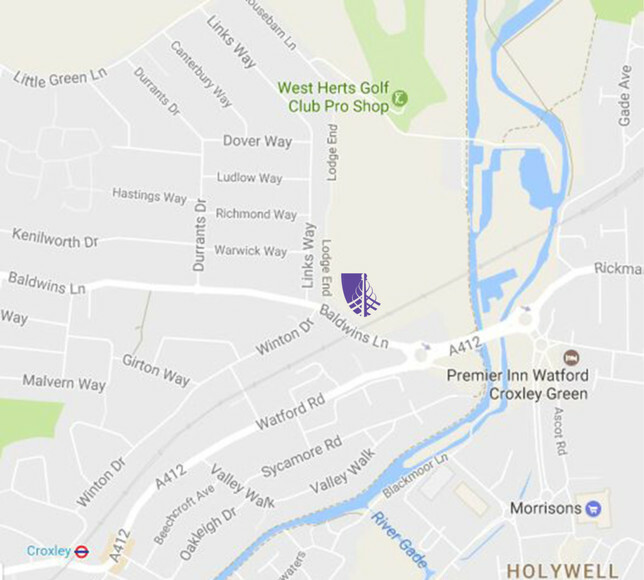 Daily transport will be provided to and from the temporary site, given that there are no pedestrian routes from Croxley Green/West Watford to Tolpits Lane. This will be funded by the ESFA and provided by Mullanys who currently run our coach service. Details of the routes and stops will be provided later in the summer term, and will be determined once all addresses of the 300 students are known. Transport to St Clement Danes will also be provided and fully funded. We have communicated this update with all our current and future parents by email. We are confident that the accommodation solution for 2018-19 will at least meet the expectations we outlined in 2017; in fact, this new proposal should allow us to exceed them.